Welcome to Ward 5 Online: Meet and Greet With Alderman O'Keefe! Meet and Greet With Alderman O'Keefe! Bring on the yard signs! I see your signs up everywhere now, Court. It seems the other candidate woke a sleeping lion. Uh Oh!!!! It's the voters without yard signs who decide who wins elections. I have a sign and I am voting. "It's the voters without yard signs who decide who wins elections." At the end of the day, it's all about pairing your signs with registered voters who have a solid voting history. If ONLY citizens WITH a given candidate's yard signs showed up to vote, then the candidate with the most yard signs would win. But that is not the case!! The final tally of citizens who voted in any given election far surpasses the number of voters with yard signs. On my street, not one candidate's yard sign can be seen, yet I know for a fact, many residents here do vote. 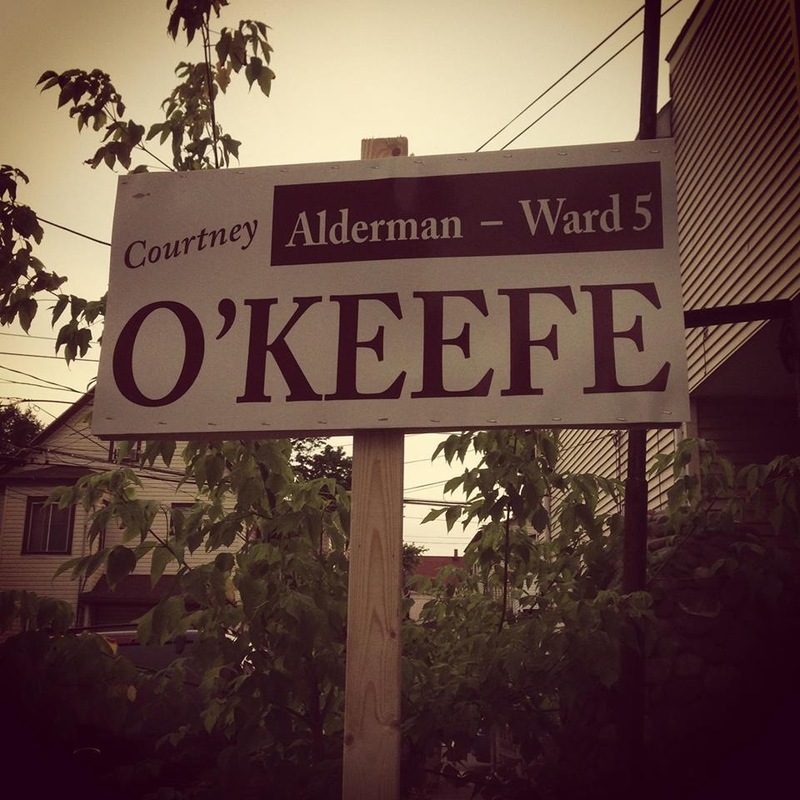 Safe to say, the number of yard signs on any street in Somerville does not rise to the number of voters on that street. Something we would not know unless we read it here: people with a candidates yard sign do vote. Yard signs advertise. Residents vote. So thank God for yard signs, otherwise we would not know who is running for what. Dumb candidates.... wasting their money and time on printing and distributing flyers, knocking on doors, rallies, etc.